I am not typically one for a larger government and increased spending especially during the current economic climate, but the request on February 1st from the FDA for 4.03 Billon “to Transform Food Safety System, Invest in Medical Product Safety, Regulatory Science” deserves our support. On June 5th, 2008 the FDA reported that tomatoes were a leading suspect in the outbreak of salmonella Montevideo eventually affecting the entire continental United States. On June 9th, 2008 the FDA expanded its investigation in order to determine the location of the outbreak. As most people will recall, this ended up as a PR nightmare for the FDA. 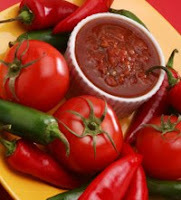 The tomato industry in three states and Mexico were decimated due to the warning not to eat certain types of tomatoes. Nearly a month and a half later on July 21st, 2008 the FDA discontinued its recall and warnings on tomatoes since they definitively found the outbreak source as jalapeno peppers from a single source in Mexico. This was a debacle of grand proportions that I believe has never been explained fully, but some good can be found in it nonetheless. Although the FDA recalled the wrong product, the media was able to disseminate the information nationally very quickly to the public. Secondly, as in many cases, a problem was identified in the ranks of the FDA that needed correction. Since then, the FDA has created new guidelines and inspection platforms without a dramatic increase in its budget. It is time that we give the FDA more funds and resources to keep one of the largest food supply chains in the world safe from infection. By the way, there is an investigation into black pepper that started on February 8th, 2010 that has yet to have its source identified. It is the same strain of salmonella Montevideo found in the peppers of 2008.